The M314 is a stunning men’s designer underwear collection by MANStore. 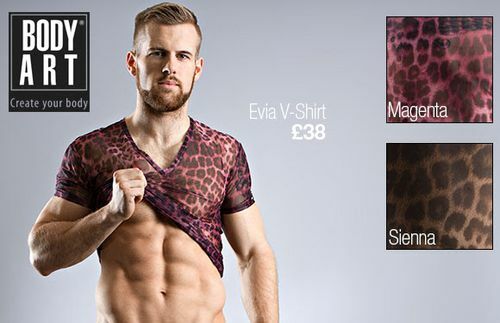 Once again they never disappoint with their lascivious designs as their latest creation proves. The leather effect material screams sensuality and the centre zip feature just adds to the irresistible naughtiness. The 6 piece collection consists of a Zipped Tank, Zipped Body, Zipped Jock, Zipped String, Zipped Brief and Zipped Pant. This MANStore M314 Zipped Brief comes with a double ended zipper backed with a smooth flap. The stretchy faux leather is used in one layer, and the deep waistband is covered with the body fabric. Finally, these briefs are finished with a reflecting trim. This M314 Zipped Body is a onesie that has been given a sensual makeover and uses one layer of stretchy leatherette finished with a double ended zip right down the front centre. Joined by a single cause, comfort, sloggi introduces the world?’s first brief made from extra-combed cotton spun around elastic Lycra in 1979. Offering complete freedom of movement, while keeping its shape wash after wash they have sold over 1.3 billion pairs of underwear. 35 years later Sloggi are still the world’s number 1 underwear brand and they have just released their stylish men’s Spring 14 collection. I’m Your Brief is made from the softest stretch cotton accompanied by super flat seams. 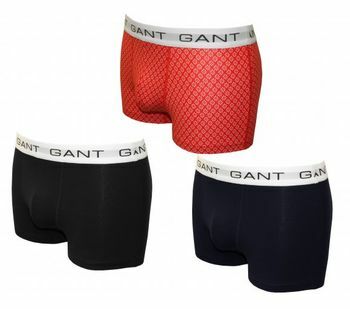 This midi men’s underwear is great for daily wear. The storm blue waistband and trim add a sophisticated dash of colour. This Newport Hipster 02 is functional, comfy and very stylish. It’s navy fabric with a grey striped panel at the thighs and red trim is really attractive and its cotton and elastane blend makes it easy to wear too. Be sure to check out all the latest new men’s styles by Sloggi now. The extra special design and indulgent fabric of the new Melrose Collection by Bruno Banani make it the perfect payday treat. It comes in a luxurious material with semitransparent stripes vertically down the pouch and available in 3 styles, the Tip Short, Tanga Brief and String. This Melrose Hip Short comes with flat elastic which lines the waistband and etched with logo lettering on the inside. The supple material is scored with vertical translucent stripes while the fabric is light but double layering for the pouch gives improved support. This Melrose Tanga Brief features a rich colour, simple shape, and subtly banded fabric. We adore everything about this brief such as the silky feel material and translucent striped pattern. The fabric is doubled up at the front to smooth and shape.